Is it Modi Lehar (Wave) in Loksabha Election 2014 or Something Else? Presently, India is going through biggest poll of the year that is Loksabha Election 2014. With these elections, Indian voters will choose their next government at the Centre. Still, many phases of Loksabha election are still pending. The final results of of Loksabha election 2014 will be declared on May 16, 2014. Many news and survey agencies conducted numbers of opinion and survey polls to determine which party or alliance will win. Most of these polls and surveys gave BJP lead NDA a lead; however, very less numbers of polls actually gave NDA an absolute majority. The interesting factor in these surveys and opinion polls is that they show that BJP lead NDA popularity is on the rise due to Modi Lehar (a wave). Now most of TV channels are also reporting same that there is a small to moderate wave in the favour of Modi in Loksabha election 2014. Today, no one can doubt the high popularity of Narendra Modi among people. Throughout India, he was the number one choice of people for the post of Prime Minister as per all surveys conducted so far. On the other hand, opposition parties blame the media for created this hype in the favor Narendra Modi. Arvind Kejrewal of AAP is most vocal with such remarks on Indian media. Now what is that reality? Do Modi wave or lehar really exist? It is very difficult to provide an exact answer because Indian politics is very complex by its nature and it is not easy to predict completely the mood of people. However, one thing is very clear that with the announcement of Narendra Modi's name for PM post by BJP, a strong and positive wave has circulated among BJP voters. Second useful point in the favour of Narendra Modi is strong anti-incumbency factor. A large numbers of Indian voters are looking for a change. As a strong candidate, Modi is likely to gain votes of many such voters. The Indian voters want a change and they want to support a leader who can make their lives better. 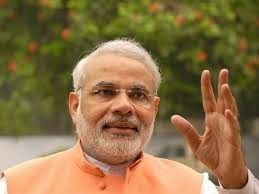 Modi has presented himself as a development oriented political leader; therefore, he is likely to win young voters. Overall, we can say that Modi has many things in his favour; however, it will also be right to not give it a name of strong wave or lehar. To know the exact answer, we are required to wait till 16th May, 2014.